Aw, shucks. It's almost National Oyster Day, which is celebrated Aug. 5. On Sunday, restaurants in Philadelphia will offer deals and specials for the food holiday. 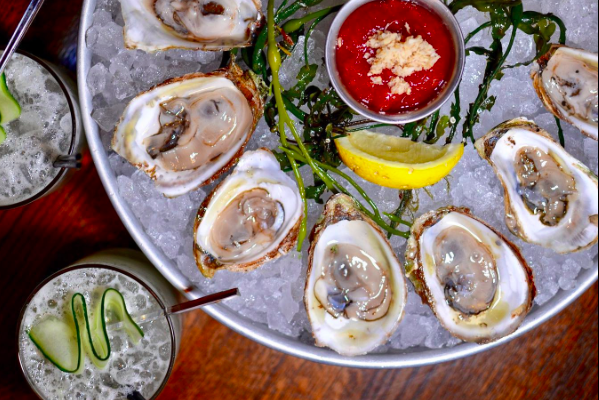 At one seafood spot, there will be 50 cent raw oysters. Check out the hot spots to hit up this weekend below. On Aug. 5, Ocean Prime guests can enjoy half-off oysters on the half shell (originally $19) and half-priced oysters. The upscale steak and seafood restaurant in Center City is open from 4 p.m. to 9 p.m. on Sundays. The newly opened crab house in Old City is celebrating National Oyster Day from Friday, Aug. 3, through Sunday, Aug. 5. All weekend long, guests can enjoy buck-a-shuck oysters from 5 p.m. to 10 p.m., as well as a special oyster-centric menu. There will be classic, broiled oysters, fried oysters and a fried oyster po' boy. Then on Sunday, from 5 p.m. to 7 p.m., the restaurant will also offer $1 fried oysters and 50 cent raw oysters in celebration of the food holiday. 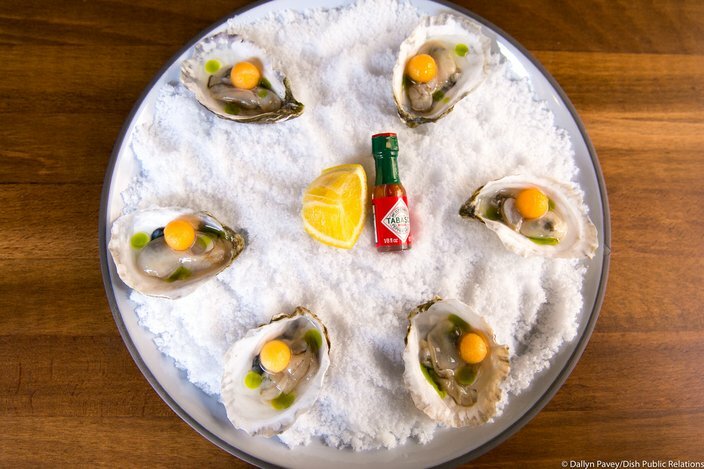 Daily oyster selection with tarragon oil and a pearl of pickled cantaloupe. This Rittenhouse restaurant is also new to Philly. Since it first opened in late-June, TALK has expanded its menu and added happy hour. Happy hour is Tuesday through Sunday, from 4 p.m. to 6 p.m. On the menu are $7 drinks, as well as a half dozen oysters for $7. Other good spots to grab oysters are listed below. And if you're wondering about the popular Oyster House, it's actually closed on Sundays.